Last week I had a lunch in the park that could only be described as life changing: Habaneros. Last week I finally paid a visit to Habaneros on Temple Row, and I honestly left with a new favourite Mexican spot for lunch. 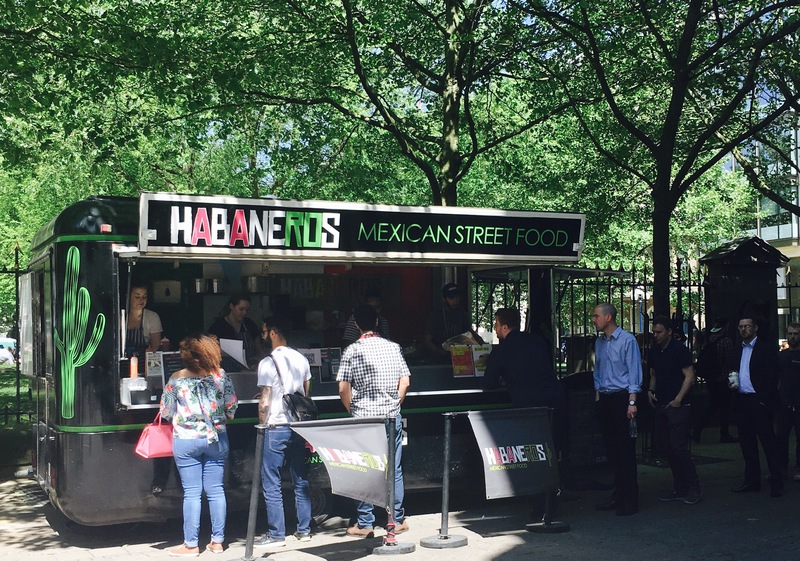 Rather than a sit down restaurant or cafe, Habaneros is a mobile street food vendor situated outside Lloyds bank Monday to Friday lunchtimes. 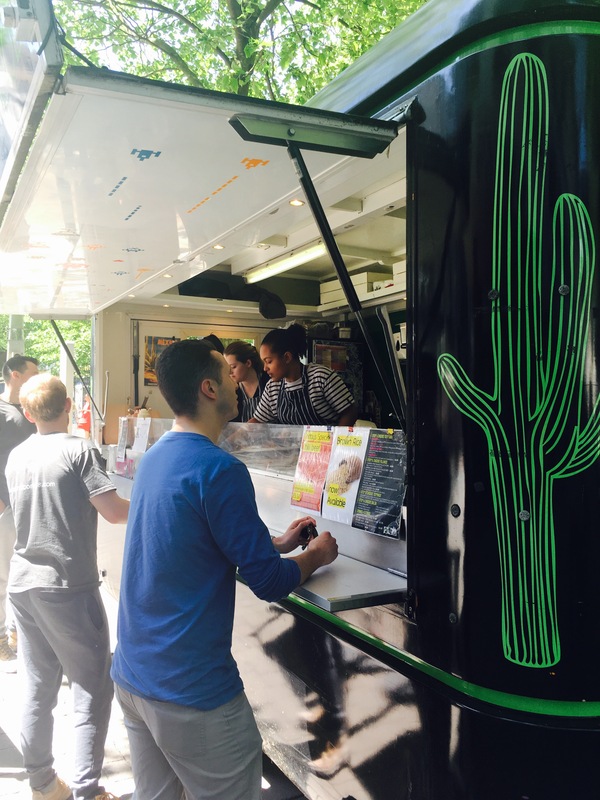 It’s black, green and pink van is distinctive and I’ve walked past it many times, always meaning to try the food available. 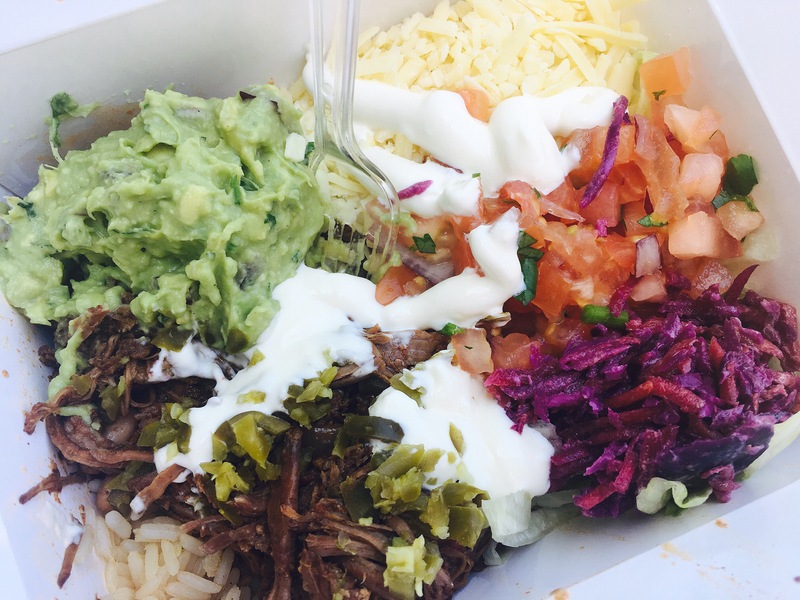 Serving a small but mighty menu, Habaneros is unashamedly aimed at burrito lovers, offering a sort of build your own style of ordering. As well as the usual chicken, pork and beef meat options, there’s a weekly special (which I opted for) as well as a veggie choice. With the weather so hot I decided on the burrito bowl rather than traditional wrap, and opted for the chilli pulled beef special (£5.50). With the view that I wanted all the goodness of a burrito just without the bread, I chose to have the full works which included rice and beans, lettuce, grated cheddar cheese, a fresh tomato salsa, jalapeños and homemade coleslaw. 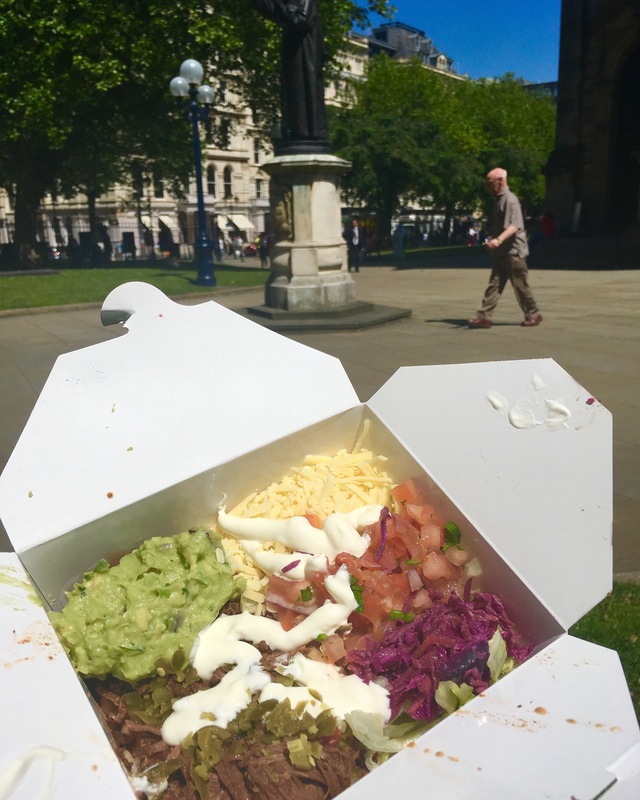 You can have as many toppings as you like, including a sauce, although guacamole is an extra 50p (hardly breaks the bank) and I had some added to my burrito box. What arrived was an absolute mound of food, there is no other way to describe it. 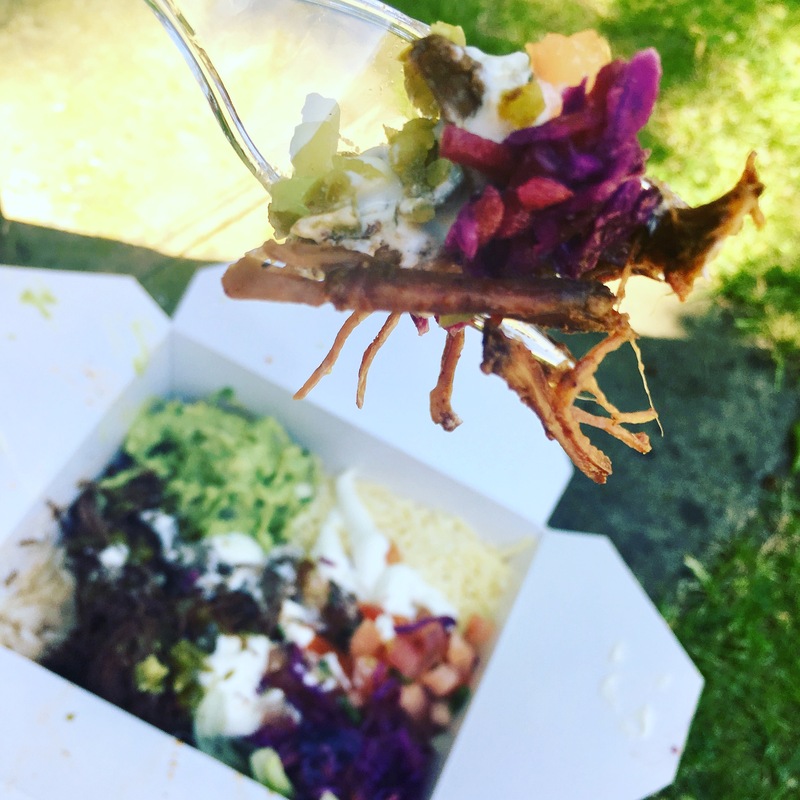 The white box was an impressive weight upon being handed over, and when I opened it I realised this was quite a feast – you couldn’t even see the layer of salad below the toppings.. I honestly felt quite overjoyed to be honest. The beef was tender and flavoursome, and had a lovely subtle hint of chilli. The richness of the beef was cut by the freshness of the salsa and slaw which was the most fabulous vibrant purple colour and super crunchy. The guacamole and sour cream provided an additional creaminess that made the meal come together, and the glorious textures combined to ensure every mouthful tasted and felt different. With all the bright colours and sunshine flavours the Habaneros burrito bowl was an absolute revelation for me, and outstanding value for be amount of food you get. The meal was £6 altogether although with my Indepedent Birmingham card I got the box for £5.50. I’ll definitely be back. 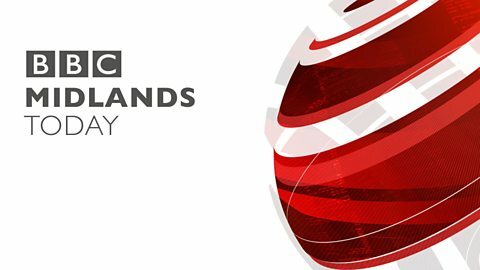 Maybe even tomorrow… Habaneros is open 11:30am – 3:00pm Monday to Friday, but be warned the queues get bigger during the lunchtime rush – but it’s worth it so just wait and be amazed. Are you a fan of Habaneros? Let me know in the comments.